Unlike fluorescent spotlights, these LED illuminators have a long lifetime and will not degrade over time. These efficient lights consume only 11 watts of power and are six times brighter than a 60-watt incandescent. Metaphase’s LED spotlight provides low cost, washdown illumination. 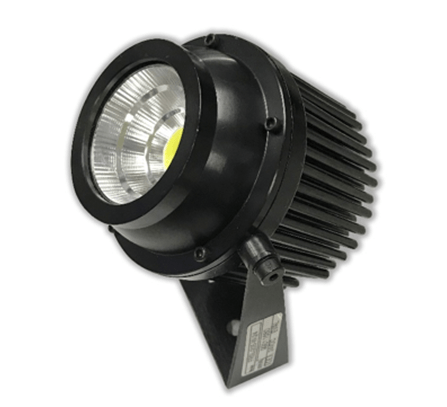 These illuminators are available in a variety of beam angles and optimal working distances and are encased in a rugged waterproof housing that can stand up to high pressure washdown environments. The standard spotlight has a ±16° (Medium) beam angle (i.e. 1.1m coverage at 4.0m working distance). Other beam angles include ±12°(Narrow) and ±25°(Wide). The Metaphase Washdown Off-Axis Ring light (OARL) takes our proven Off-Axis ring light and puts it into a washdown and harsh environment configuration. Our washdown OARL can now be used where they may be exposed to water, moisture, and debris. With this watertight gasket design, high-pressure jets and wash downs are no problem; great for food, drug, or outdoor applications. 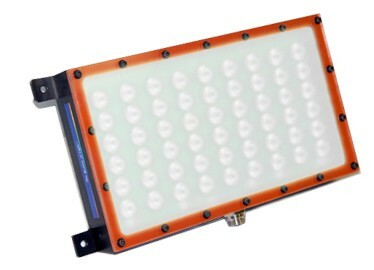 The off-axis ring light (dark field) provides a near horizontal plane of light which is useful for highlighting surface defects, illuminating specular surfaces, and side lighting prominent target features. 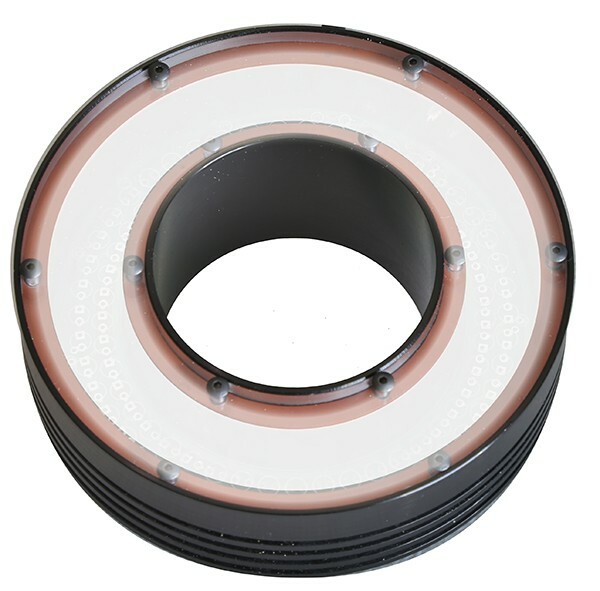 Our ring lights can be configured for wavelength and other specifications. MetaBright™ Robolights provide high intensity direct illumination comparable to MetaBright™ Front Lights and are designed for IP68 rated environments with an optional IP69K version available for all model sizes. Robolights feature rugged industrial housings for industrial work envelopes. The Robolight is a cost effective and “integrator ready” machine vision illuminator with an integrated constant current driver that includes 0-10V intensity control. The Washdown Ring Light allows the use of one of the most popular lighting systems in a larger variety of environments and can be used where they may be exposed to water, moisture, and debris. With the IP67 rated watertight gasket design, low-pressure jets and washdowns are not a problem; great for food and drug inspections, or outdoor applications. Three ¼-20 tapped holes provide the ability to mount the ring light directly to the camera. This light is available in aluminum or stainless-steel. The Washdown Area Front light provides direct intense light in an IP67 rated enclosure. The design has been ruggedized to protect against shock and vibration. Used alone or in pairs, these lights have the advantage of being able to be moved to both On and Off axes to provide the best illumination scenario in any indoor/outdoor application.